Looking for a fun, rewarding job that just might change your life? Please e-mail all references to the office. Contact our office at (251) 928-7844 or by email with any questions. Providing a Christian environment that promotes social, emotional, spiritual and physical safety! Supervision of campers at all times. 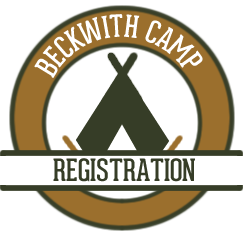 Supporting the policies of Camp Beckwith. Recognizing your own health and well being, and being a good steward of your energy and personal resources. All staff positions are required to attend a staff training session prior to the beginning of camp sessions. I knew from past experiences that there is really no other place on Earth where I can be so wholly and purely myself, but there was something else I perhaps held even more dear to my heart; the love for Christ, that is never kindled and nurtured so well at any other place other than Beckwith. My camp is my home because my home is with God and the times in my life that I have felt the closest to His presence all trace back in some form or fashion to the shores of Weeks Bay. I can honestly say this has been the most meaningful summer of my life. Every single friendship with a staff member, connection with a camper and attachment to this place was a tiny glimpse of the Lord. Summer Camp Counselors are responsible to the Head Counselor, Camp Director, and Executive Director. Responsibilities include but are not limited to: maintaining the physical and spiritual health and well-being of a group of no more than 112 campers each day; leading cabin devotions; keeping campers on schedule for daily activities; facilitating games and activities; and most importantly, being a positive Christian role model for all campers. Counselors will be responsible for camp activities (ie. Arts and Crafts, Waterfront, Ropes Course, Environmental Education, Games) and be responsible for campers in their cabin. Counselors will work with other counselors in cabins and will occasionally rotate out of cabin for a week. All counselors are expected to work in a team environment and to assist in coordinating at least one camp session during the summer. Counselors must have a mature and active faith in Christ. Counselors must be extremely flexible and responsible people. It is a very fulfilling position, but demands energy, love for kids and a servant’s attitude for God as a motivation. Total compensation for each position is divided and paid every other Tuesday. Compensation: $1650 for the summer which includes salary, room, board, and experience. Counselors returning for their 3rd year or more will be paid an additional $275 for the summer. *We plan to hire 14 Counselors. Counselors-in-Training (CITs) are responsible to the Head Counselor, Camp Director and, Executive Director. Responsibilities include but are not limited to: maintaining the physical and spiritual health and well-being of a group of no more than 112 campers each day; leading cabin devotions; keeping campers on schedule for daily activities; facilitating games and activities; supporting the kitchen staff; supporting the logistics team and most importantly, being a positive Christian role model for all campers. Counselors-in-Training will be responsible for assisting Summer Camp Counselors in leading camp activities (i.e. Arts and Crafts, Waterfront, Ropes Course, Environmental Education, Games) and be responsible for campers in their cabin. CITs will work with other counselors in cabins and will occasionally rotate out of cabin for a week. All CITs are expected to work in a team environment and will join a team of experienced counselors in coordinating one camp session during the summer. CITs must have a mature and active faith in Christ. Counselors-in-Training must be extremely flexible and responsible people. It is a very fulfilling position, but demands energy, love for kids and a servant’s attitude for God as a motivation. Total compensation for each position is divided and paid every other Tuesday. Compensation: $1100 for the summer which includes salary, room, board, and experience. CITs returning for their 2nd year and beyond will be paid an additional $165 for the summer. Age Requirement: 16 years or older. *We plan to hire 2 CITs. Kitchen Crew is responsible to the Culinary Supervisor and other kitchen staff, Camp Director, and Executive Director. Responsibilities include but are not limited to: assisting kitchen staff in prep work; making desserts; light cooking; preparing dining hall for meals; washing dishes; cleaning dining hall, including sweeping and mopping; and any other tasks given by Culinary Supervisor or kitchen staff. Kitchen Crew is expected to work in a team environment and will join a team of experienced counselors in coordinating one camp session during the summer. They will also be expected to participate in all evening activities. Kitchen Crew may be in cabin to help fill any void in counselor coverage. Kitchen Crew must have a mature and active faith in Christ and be a positive Christian role model for all campers. They must be extremely flexible and responsible people. It is a very fulfilling position, but demands energy, love for kids and a servant’s attitude for God as a motivation. Total compensation for each position is divided and paid every other Tuesday. Compensation: $1100 for the summer which includes salary, room, board, and experience. Staff returning for their 2nd year and beyond will be paid an additional $165 for the summer. Work Crew is responsible to the Director of Operations and other Beckwith maintenance staff, Camp Director, and Executive Director. Responsibilities include but are not limited to: general landscaping; lawn maintenance; light machine handling; ability to lift over 30lbs; and any other tasks given by the Director of Operations or maintenance staff. Work Crew is expected to work in a team environment and will join a team of experienced counselors in coordinating one camp session during the summer. They will also be expected to participate in all evening activities. Work Crew may be in cabin to help fill any void in counselor coverage. Work Crew must have a mature and active faith in Christ and be a positive Christian role model for all campers. They must be extremely flexible and responsible people. It is a very fulfilling position, but demands energy, love for kids and a servant’s attitude for God as a motivation. Total compensation for each position is divided and paid every other Tuesday. Head Counselor is responsible to the Camp Director and Executive Director. Responsibilities include but are not limited to: maintaining the physical and spiritual health and well-being of the campers and staff; direct supervision of the Summer Camp Staff; assist in camper registration; assist in leading Staff Training; communication between the Summer Camp Staff and Camp Director; working with Counselors coordinating the week on the scheduling and logistical needs; coordinating Sabbath time for the Summer Staff; supporting camp activity areas; selecting and evaluating Junior Counselors; and most importantly, being a positive Christian role model for all campers. The Head Counselor may choose to be in cabin, but is not required to unless filling an unanticipated void in counselor coverage. The Head Counselor must have a mature and active faith in Christ and be extremely flexible and responsible. It is a very fulfilling position, but demands energy, love for kids and a servant’s attitude for God as a motivation. Other duties as assigned by the Camp Director. Total compensation for each position is divided and paid every other Tuesday. Compensation: $2100 for the summer which includes salary, room, board, and experience. Age Requirement: 20 years or older. *We plan to hire 1 Head Counselor. Activities Director is responsible to the Head Counselor, Camp Director, and Executive Director. Responsibilities include, but are not limited to: maintaining the physical and spiritual health and well-being of the campers and staff; serve as a role model to other staff; direct supervision of the Summer Camp Staff; assist in camper registration; assist in leading activities during Staff Training; communication between the Head Counselor, Summer Camp Staff and Camp Director; working with Head Counselor coordinating the week on activity scheduling and logistical needs; present an activity plan during pre-camp to staff; supporting camp activity areas; work with the Dean to implement program specific activities; keep an inventory of and maintain all equipment/ supplies for activities; ensure each activity has sufficient supervision; facilitate staff activity assignments with the Head Counselor and Camp Director; organize and implement large group icebreakers/ games; organize staff introduction skit; assist with Junior Counselor Training; communicate supply/ equipment needs to the Camp Director; and most importantly, being a positive Christian role model for all campers. The Activity Director may be in cabin to help fill any void in counselor coverage. The Activity Director must have a mature and active faith in Christ and be extremely flexible and responsible. It is a very fulfilling position, but demands energy, love for kids and a servant’s attitude for God as a motivation. Other duties as assigned by the Camp Director. Total compensation for each position is divided and paid every other Tuesday. Compensation: $1850 for the summer which includes salary, room, board, and experience. Age Requirement: 19 years or older. *We plan to hire 1 Activities Director. Media Director is responsible to the Head Counselor, Camp Director, and Executive Director. and most importantly, being a positive Christian role model for all campers. The Media Director may be in cabin to help fill any void in counselor coverage. The Media Director must have a mature and active faith in Christ and be extremely flexible and responsible. It is a very fulfilling position, but demands energy, love for kids and a servant’s attitude for God as a motivation. Must perform other duties as assigned by the Camp Director. Total compensation for each position is divided and paid every other Tuesday. *We plan to hire 1 Media Director. Music Director is responsible for selecting, planning and implementing all music appropriate for each camp session and age group. Music is a fundamental part of the worship component of camp life and the Music Director is vital to that experience. The Music Director is responsible to the Head Counselor and Summer Camp Director. perform other tasks as deemed appropriate by the Summer Camp Director. The Music Director must have a mature and active faith in Christ and must be extremely flexible and responsible. It is a very fulfilling position, but demands energy, love for kids and a servant’s attitude for God as a motivation. Total compensation for each position is divided and paid every other Tuesday. *We plan to hire 1 Music Director. Nurse's Assistant is responsible to the Camp Nurse, Head Counselor, Camp Director and Executive Director. *We plan to hire 1 Nurse Assistant. Camp Nurse is responsible to the Camp Director and Executive Director. The nurse must have professional experience in the medical field as a pharmacist, EMT, or RN. take all campers with medical emergencies to Thomas Hospital ER in Fairhope, AL. accept other duties as assigned by the Camp Director. The Nurse must have a mature and active faith in Christ and be extremely flexible and responsible. It is a very fulfilling position, but demands energy, love for kids and a servant’s attitude for God as a motivation. Total compensation for each position is divided and paid every other Tuesday. Age Requirement: 23 years or older. Must be at least 14 years old by June 1st. Leaders In Training is designed to prepare our future Junior Counselors with the leadership skills and information needed to perform in the best way possible upon returning to serve. Junior Counselors are held accountable by Summer Camp Counselors, Counselors-in-Training, the Camp Director and the Executive Director. Junior Counselors must be positive Christian role models, flexible, and willing to serve wherever they are needed. Junior Counselors will typically assist in an activity area, and in direct supervision of the campers in his or her cabin and family group. It is a very fulfilling position, but demands energy, love for kids and a servant’s attitude for God as a motivation. Attending Leaders In Training does not guarantee selection as a JC for the summer, but you will gain skills such as CPR/First Aid, Water Safety Instruction, etc. which will enable you to have the experience necessary to succeed as a future counselor. At the conclusion of Leaders In Training, the Summer Staff will complete a confidential evaluation on each potential Junior Counselor. The Head Counselor in consultation with the Camp Director will then place eligible Junior Counselors with their appropriate sessions. Compensation: Volunteer position without pay, but does include: room, board, and experience. Age Requirement: 14 years or older and must be enrolled in Leaders In Training on June 6-7, 2019. A Staff Application is not a requirement for Junior Counselors. Please register HERE for our Leaders In Training session to be considered.